Managing mobility today can be harrowing. Your users want access while your enterprise needs security. Creating and setting the right standards - so that everyone gets what they want - is a challenge. Achieving your goals is only possible when you have the right technology in place. In this FAQ, learn how to establish harmony between security and usability with the BlackBerry® PlayBookTM OS 2.0. 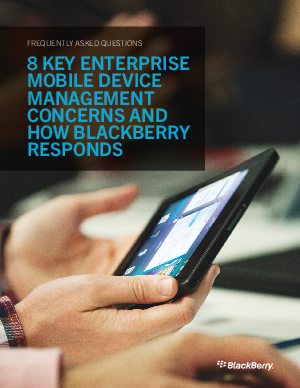 Get the answers to your most pressing questions and make BYOD a success for your enterprise.